Cup & Cross Ministries International is renewing the publication of the Apostolic Faith newspaper archive, which recorded the events of the great Pentecostal revival of Azusa Street. 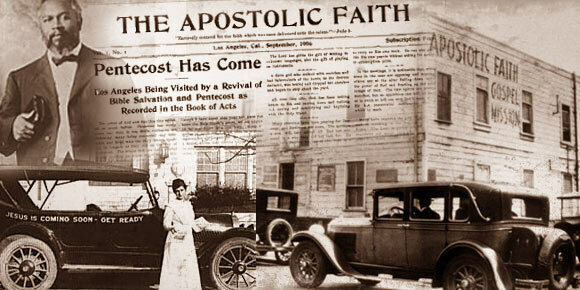 In September 1906, the Azusa Street Mission began publishing a newspaper, The Apostolic Faith. The paper contained news, testimonies, and sermons by Seymour and others. The Apostolic Faith was the instrument God used to spread the Pentecostal message around the world. At its height, the newspaper had a circulation of 50,000. Clara Lum was a stenographer who recorded many of the events of the meetings and contributed to the paper. She was a member of the original credentialing committee at Azusa Street. Glenn A. Cook also had previous newspaper experience and helped with The Apostolic Faith. The newspaper also became a matter of great controversy. Clara Lum and Florence Crawford left the mission to start a work in Portland, Oregon. They began publishing The Apostolic Faith from their new home. It is believed by many that, without permission, they took the mailing lists from the mission. This essentially crippled the mission in its contact with the world and ability to raise funds and contributed to the end of the revival. The entire story of the split between Seymour and Crawford will probably never be known. Crawford and Lum have many defenders. This much is certainly clear from the historical evidence, there was a definite rift between the work in Los Angeles and the one in Portland.